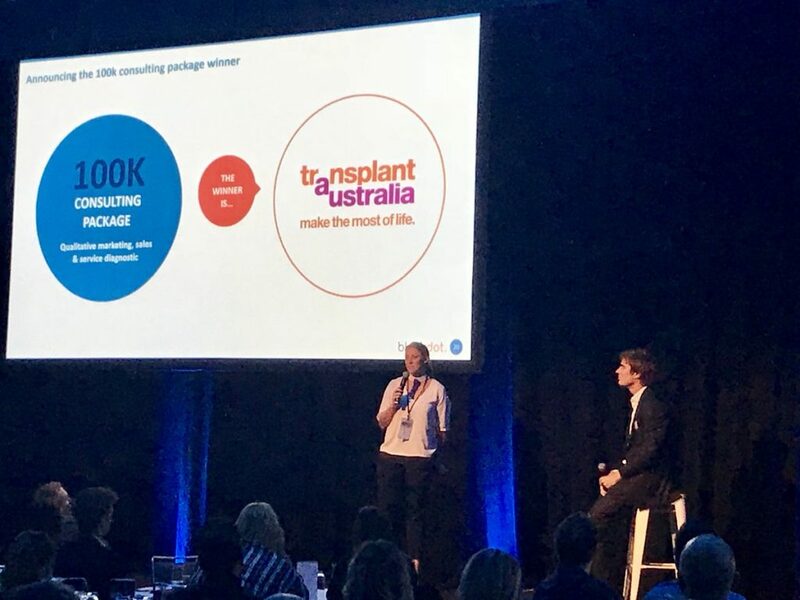 Transplant Australia is the grateful winner of a $100K in-kind donation from business management consultancy firm Blackdot, who announced their intention to support organ and tissue donation at their ‘Implementing Customer Transformation’ event on the 29th May. Two directors from Transplant Australia’s board, Holly Tyrell and James Reilly, and Helen Haynes, our National Partnerships Manager, attended the event, with Holly accepting the award on Transplant Australia’s behalf, and thanking Blackdot for their commitment. Transplant Australia has positively impacted many lives, but we need help, and rely on the community to survive. That’s why this award from Blackdot will mean so much to so many, allowing Transplant Australia to support transplant recipients through research and science, events like the Transplant Games and programs like Fit for Life!. We believe that with Blackdot’s expertise across marketing, fundraising-capability, campaign design, process, and technology, Transplant Australia will be able to grow sustainably, and reach more people. Currently, around one third of Australians are registered organ donors. By working with Blackdot, we hope to start a movement which lifts that number, and gets Australia into the top ten countries in the world for donation rates. We are pleased to report that 17 people chose to add their name to the Australian Organ Donor register at Blackdot’s event – a great start! The more people who add their name to the Australian Organ Donor Register at donatelife.gov.au, the more lives we’ll save.